I read this article and found it very interesting, thought it might be something for you. The article is called 5 Local spots to visit in Bahrainand is located athttp://www.dilmunicouple.com/5-local-spots-to-visit-in-bahrain/. People always ask us, “what is the best thing about Bahrain ! ?” and our answer without hesitation “The friendliness, kindness and warmth of its people and the simplicity around in this island”. In 2013, The day next to our wedding day, we decided to have a local tour to enjoy our time together. We drove the car from Malikya to Jannusan and started wandering around, exploring some green spots in this lovely part of the island. When we posted the photos on Instagram, our friends thought that we are out of Bahrain already, but it was just some neighbourhoods in Jannusan. We didn’t travel far away but we had unforgettable moments that day! Two years later, we went on a walking adventure around Bahrain, we walked for five days and camped every night in a different location to explore our own country! 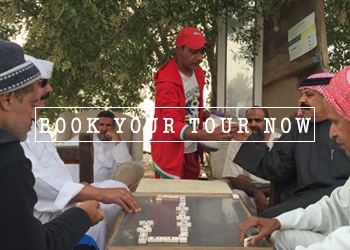 After that we started to take people on local tours around Bahrain. 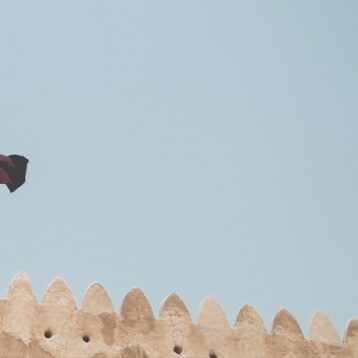 So in this post we would like to share with you several local spots to visit in Bahrain, in which we think you can learn about Bahrain and its people! 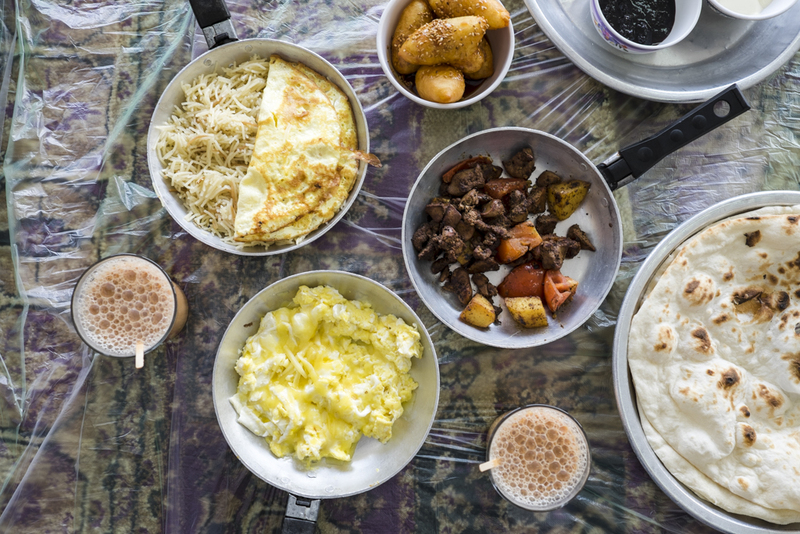 Balaleet, Qaymat, Scramble egg, Chicken liver, Khobez and Chai Karak. 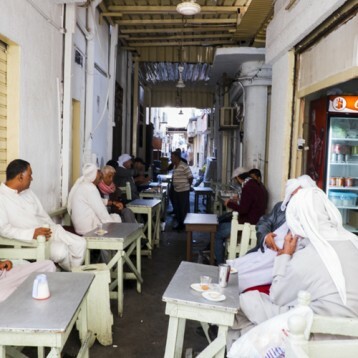 Our favourite place for an early traditional Bahraini breakfast. 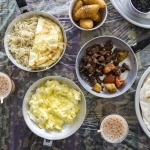 the Balaleet (Sweeten spaghetti with egg), Gaimat (Doughnuts with date syrup), chicken livers and the fresh Khobez (bread) must be in your order, and it’s not only the food but the atmosphere in this small restaurant that we really like. We love the doodles and different signatures by people on the walls. You have the option to have your breakfast on a dinning table or as we do at home, sitting on the floor. We try to go early morning during the weekends before 9am to book a place as it gets very busy and full after that. 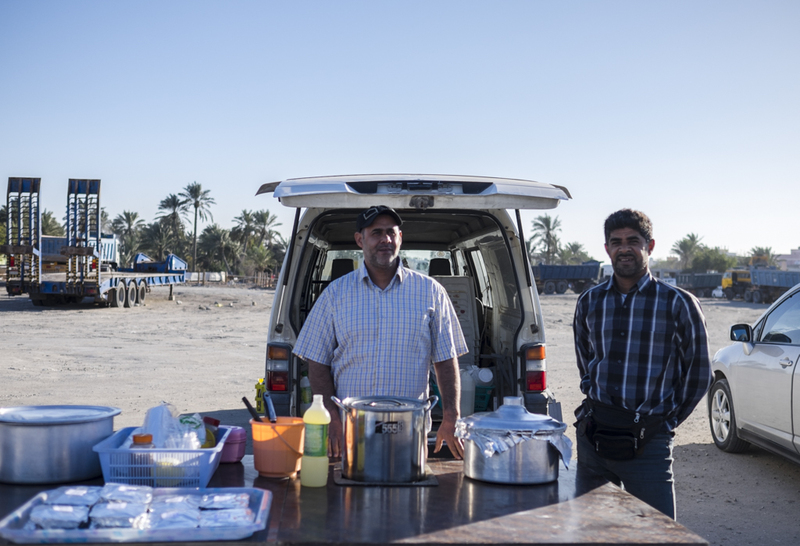 Abdullah Al-Aradi, the owner of the restaurant is always there to make sure that his customers are happy. Sometimes his wife join him and now a new member of the family also frequently attending “baby Zuhoor”. You can also follow their updates via Instagram account. You can visit the restaurant morning for breakfast: 6:00 am to 1:00 pm and for at night for dinner Dinner : 7:00 pm to 11:00 pm every day. click here to get the directions. Don’t forget to add your signature before leaving. 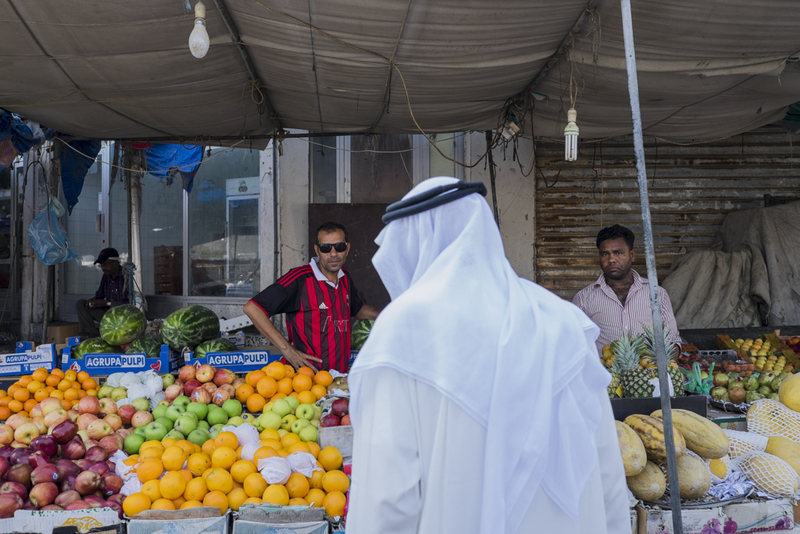 Fruits and vegetables in Jidhafs market. 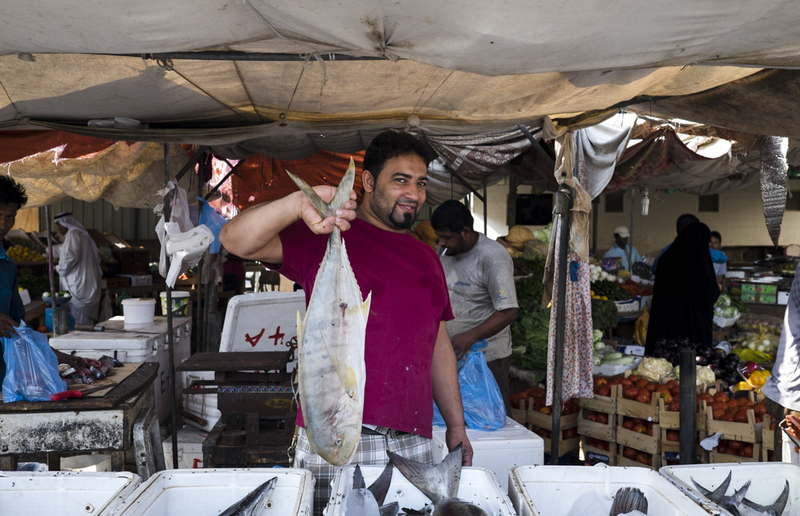 We simply enjoy shopping at this local market as many others do. “Fresh” is the title here, You can find fresh vegetables, fish (all types), shrimps, dates and many other things like birds!. What we like more is the friendliness of the sellers, they welcome you with a smile and don’t mind to be photographed or have a chit chat. You can always enjoy shopping like a local!. 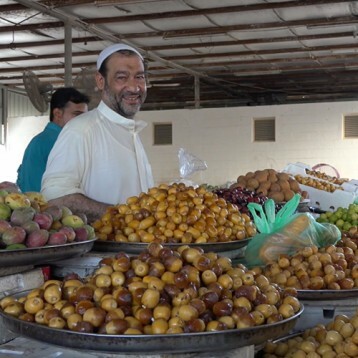 Jidhafs market is located at the entrance of Jidhafs city and expands a long the street. Click here to get the directions. 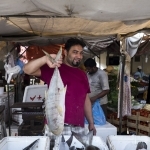 Fish seller holding a fish and smiling to the camera. Mohammed (Left) and Saleh (Right) the two brothers in the workshop before renovation. 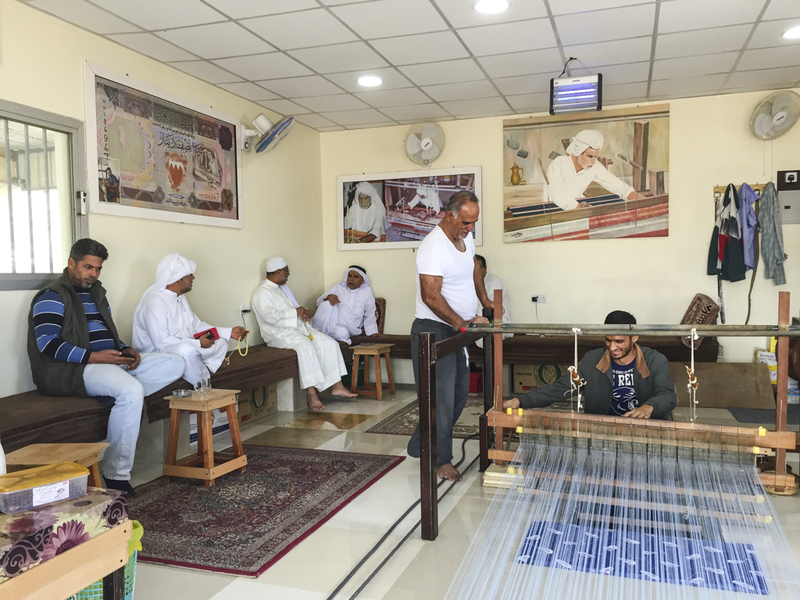 The last and only authentic textile weaving factory left in Bahrain. 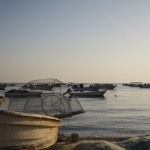 The factory is located in Bani Jammrah village northern west of Bahrain. This village used to have tens of factories in the past with one remaining today. So you will be able to learn about this fading handicraft and try weaving yourself if you would like. 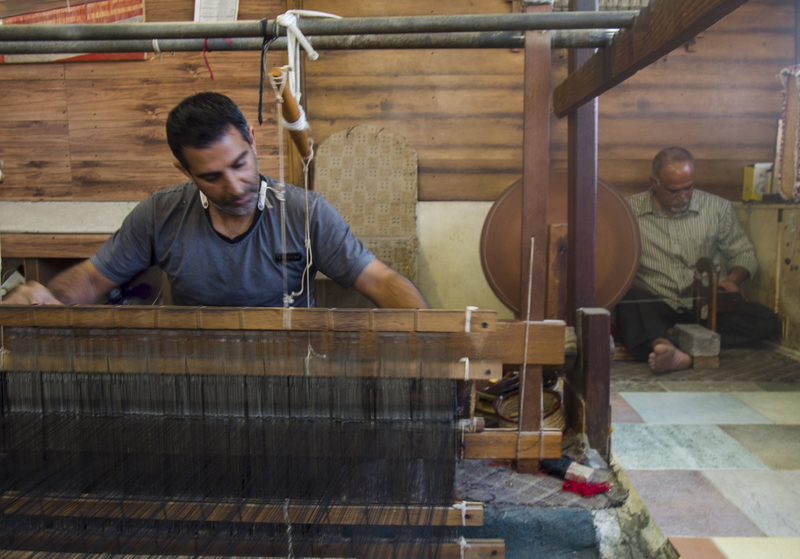 This small factory is actually one room and it is also a gathering place for the people in the village, a place to drink tea, enjoy dates and arabic coffee with the vibes of the weaving machines. Anyone will be warmly welcomed. Don’t miss getting one of the colourful handmade shawls for very low price ! you can also follow their updates via Instagram account and support this local handicrafts. You can visit the place morning time from 08:00 am – 01:00 pm and afternoon 04:00 pm until sunset. click here to get the directions. 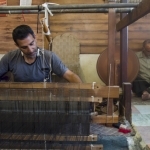 Hussain trying to learn how to use the manual weaving machine. 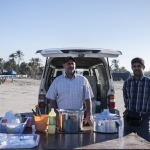 Street food on the sides of Al-Nakheel highway everyday afternoon. 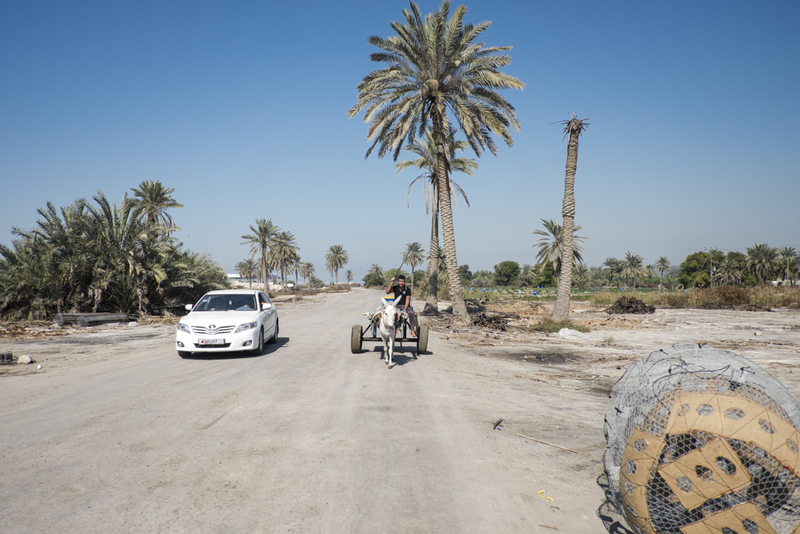 If you are welling to learn about important aspects of Bahraini villages local culture by only observing or chatting with people, or if you are looking for a local bakery, local vegetables or fish.This is the road you need to go. This road connects number of villages on the northern west coast of Bahrain and it’s one of our best roads ever. It is also a very good road for walking and cycling all the way to Bahrain fort. On this road also there are always a chance to meet horse and donkey riders! Modern world meets old world in Jannusan village. 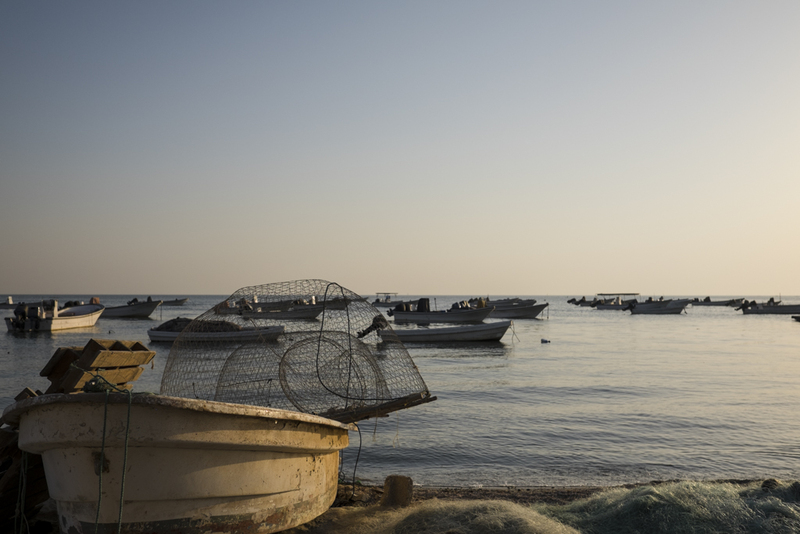 Fishermen boats near the seashore. 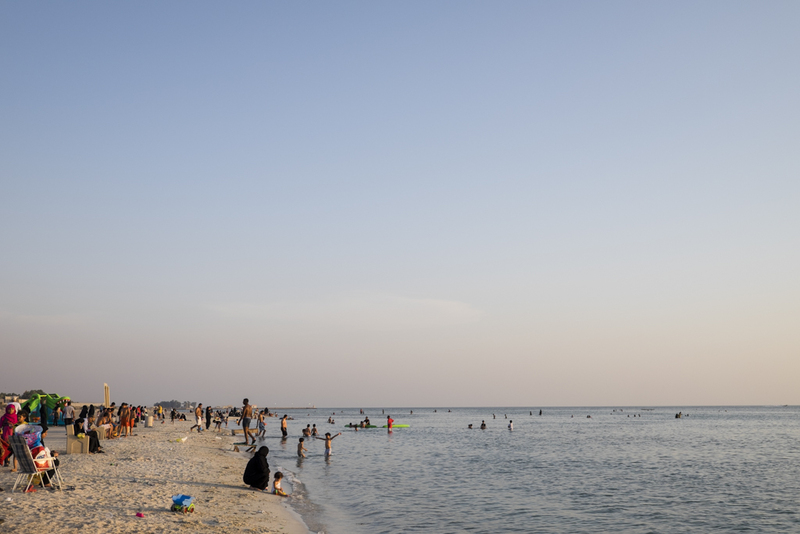 Bahrain’s most popular beach. During weekends it gets very crowded. Fishermen has their own gathering place setting close to their boats. A long the beach families come over to spend the afternoon, some like to enjoy a small boat tour offered by the fishermen for 500 fils/per person. The famous snacks are corn and pop corn. Horses, white donkeys or boys on their motorbikes may accompany your stay at the beach! click here to get the directions. People enjoying their time in Malikiya beach. 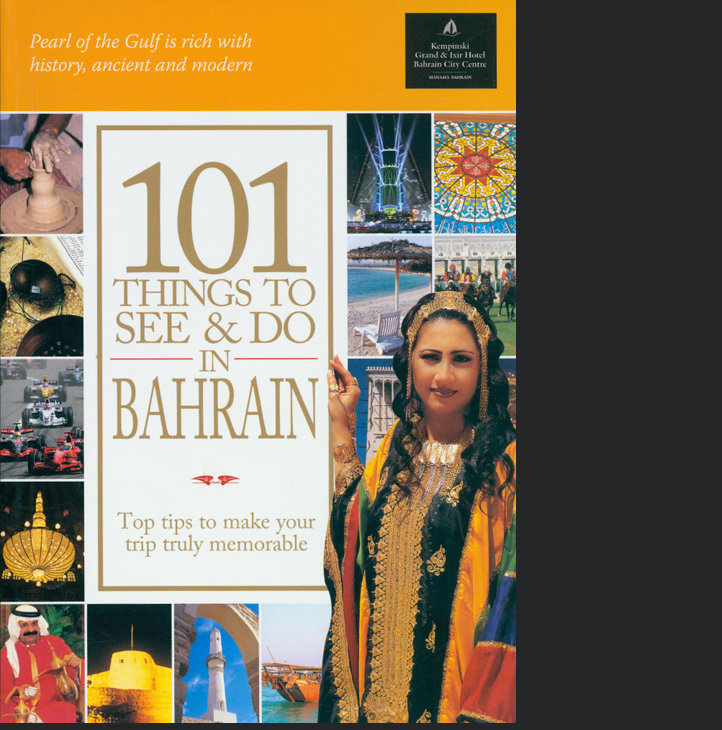 Do you want to know more about Bahrain!? 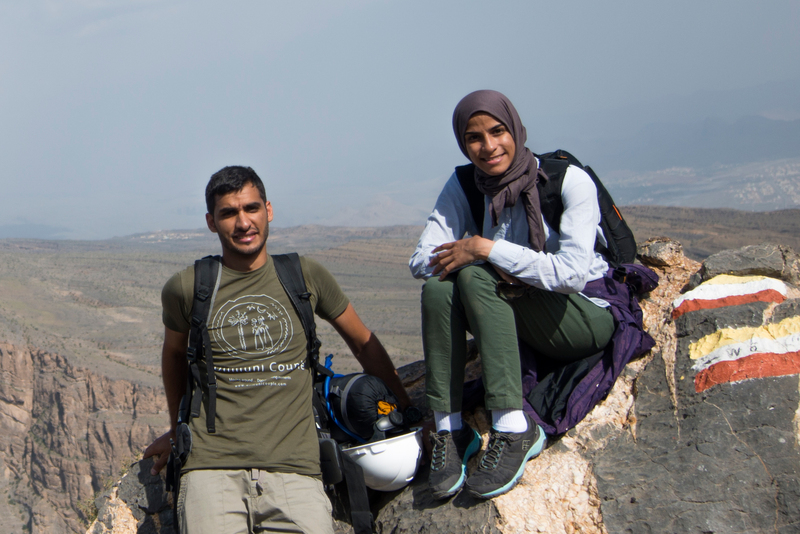 Read more 5 days walking adventure around Bahrain! I love Bahrain for its people, local & expats alike. I have lived in UAE for 11 years but in Bahrain you get to interact with the local community more. They accept you as much as you accept them. I love to walk at the Arad Fort during the cooler weather as well. In one of my walks, I saw a pink flamingo pirroueting like a ballerina in search of food during low tide! 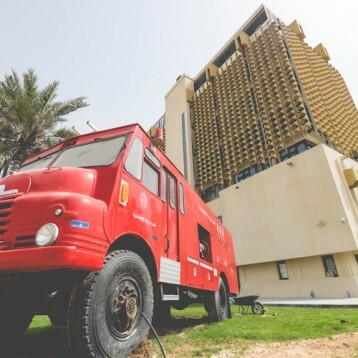 I’ve never felt so connected to a place such as Bahrain. 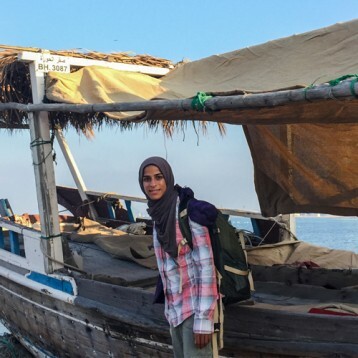 Hi Lani, very nice to hear from you and thank for sharing a glimpse about your experience in Bahrain and indeed this island is warm for birds as much as it is warm for people. I am working here for the last 3 yrs, and overcome dry summer & chilled winter. Its awesome to be here in the small island of Bahrain. People are mingling and accepting Expats. I am a frequent traveler while in India and here not getting much opportunity. Beaches and Parks are our favorite weekend destination. Thank you for your comments Najas,we really like to get up early morning on weekends to start exploring or do different activities. 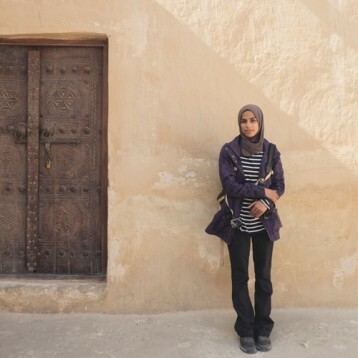 These spots are so picturesque, Mariam! This was an inspirational post!